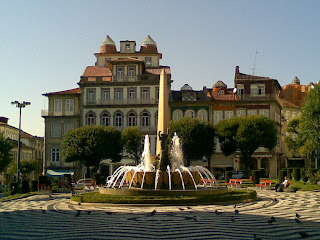 City and municipality in northwestern Portugal in the province of Minho and in the district of Braga. 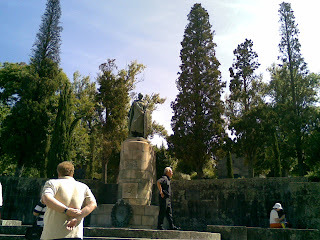 The city was founded upon much older settlements by Count Vímara Peres after his namesake (Vimaranis, later Guimaranis), soon after he established the 1st County of Portugal (in 868). 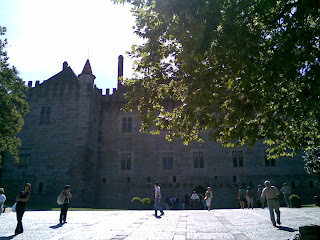 As the first capital of Portugal, Guimarães is known as the place where the country was born – "The Cradle City". 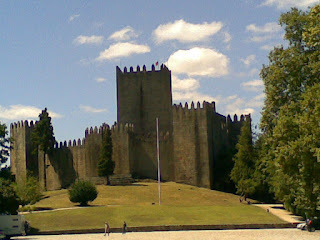 In 1095 Count Henry of Burgundy, who had married princess Teresa of León, establishes in Guimarães the 2nd County of Portugal (Condado Portucalense). In July 25, 1109 Afonso Henriques, son of Count Henry of Burgundy, is born in this same city. 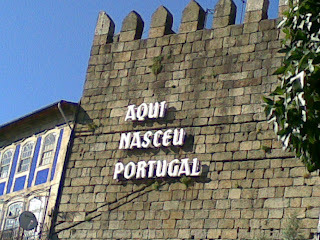 That is where Duke Afonso Henriques proclaimed Portuguese independence from the Kingdom of León, after the Battle of São Mamede, declaring himself to be Afonso I, king of Portugal.